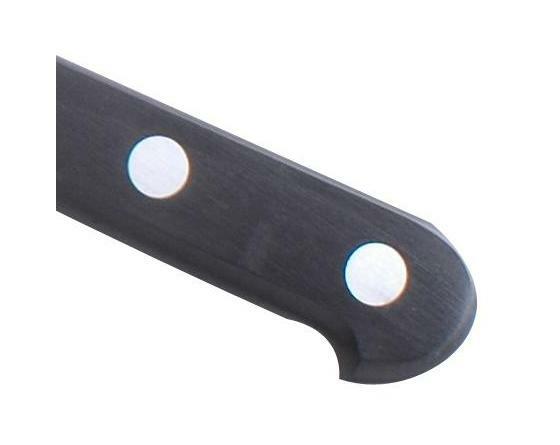 A knife with a narrow serrated blade. 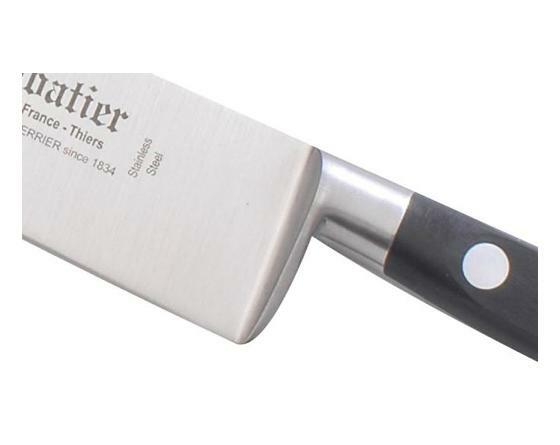 Great for fine cutting or slicing, without bruising tender or delicate fruit or vegetables, such as tomatoes, oranges, or lemons. 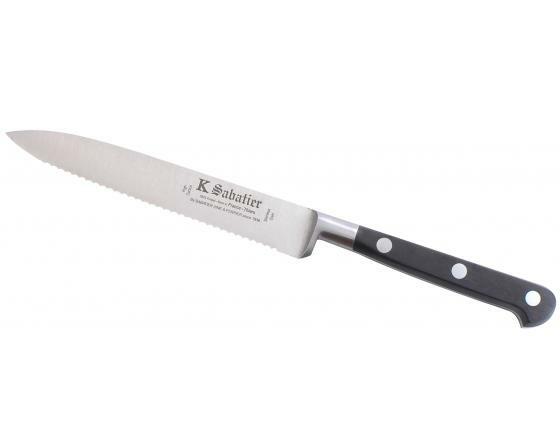 It can also be used as a small bread knife, e.g. 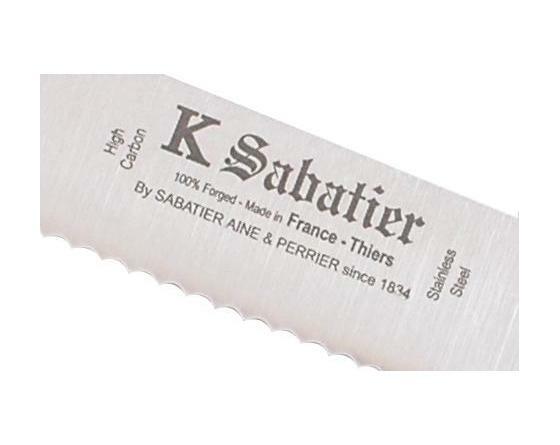 for slicing baguettes.